Are you looking for an Electric Guitar Kit for your kids? Electric guitar kits make a cool gift for birthdays and Christmas! Electric guitar kits for kids feature guitars that are smaller than normal so that kids can hold and play them more easily. With electric guitar kits for kids you get a smaller guitar made especially for kids and most kits include the amp, case and other items which saves having to look round the shops later for something you forgot. If you have a kid who wants an Electric Guitar this year then the following featured electric guitar kits might be just what you need. An electric guitar kit is sure to get your young musician off to a great start. The double cutaway makes access to the whole fretboard easy. A 10 watt amp is fine for home use and the case will help with those school journeys! Here is a selection of review pages parents and teens might find helpful for guitar buying. Harley Davidson gear is so rock and roll! Bikes, axes, belts and leathers - git yer motor runnin' and all the rest of it. This page showcases Harley Davidson guitar gear - hope you like it Man! Electric Guitars are great fun, easy to play, and easy to collect! Here are a few electric guitars I thought were noteworthy. 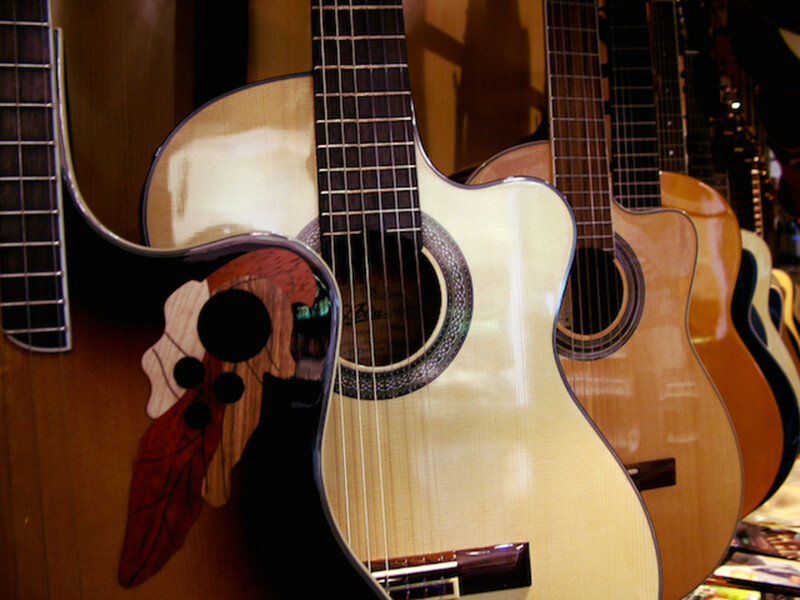 Buying an acoustic guitar for a beginner can be a little bit of a minefield. Here are a few suggestions and ideas to help. Bass guitar is the power behind any rock band and playing the bass is a wonderful feeling but how do you get started on bass guitar and what bass guitar package is best for a beginner? This is a page for parents to look for Beginner Guitars for very young children. Choosing the right instrument is particularly important for this age group. Here is my take on the best guitar for beginners. 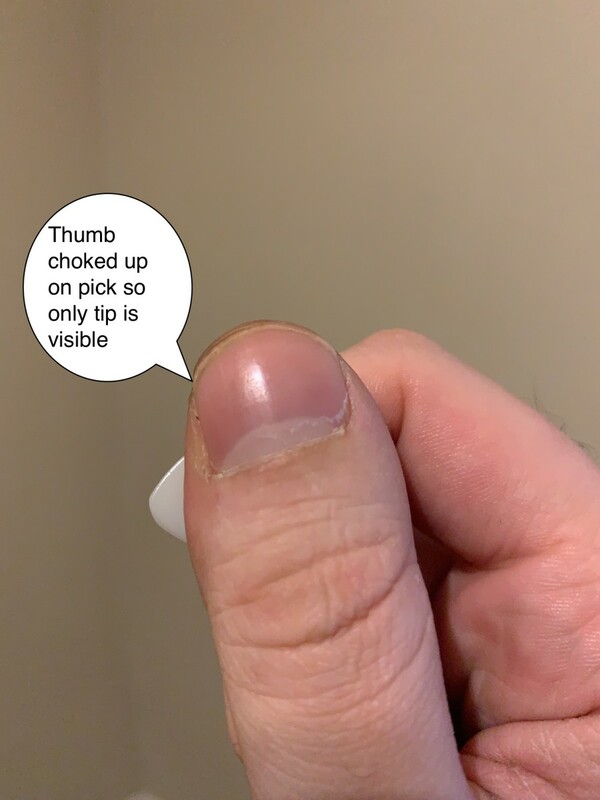 I have over 30 years experience teaching guitar in school and at home and in that time I have seen parents make expensive mistakes. I hope to help. A great pink guitar in a smaller size with amp and accessories. Reader Reviews - Have you purchased any of these guitar kits? 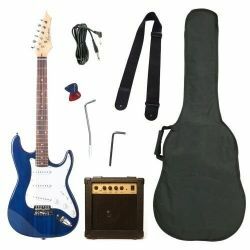 With electric guitar kits for kids you get a smaller guitar made especially for kids and most kits include the amp, case and other items which saves having to look round the shops later for something you forgot.